If you’re a reader who loves keeping up with the hottest new psychological suspense novels, you’ve probably already heard the buzz surrounding Sandie Jones’ debut THE OTHER WOMAN. Releasing in August from Minotaur Books, THE OTHER WOMAN is perfect beach reading material: twisty, page-turning suspense that you’ll want to devour in one sitting. I'm thrilled to welcome Sandie Jones to Crime by the Book today to give CBTB readers an exclusive glimpse into THE OTHER WOMAN in anticipation of its August release! If you've loved domestic thrillers like BEHIND CLOSED DOORS by B.A. Paris and LIE TO ME by J.T. 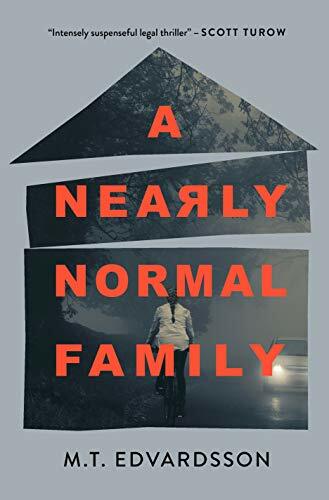 Ellison, you will love Jones' addition to the ever-growing psychological suspense genre; moreover, you'll love that Jones puts her own unique spin on the genre in her debut, too. Where many domestic thrillers focus on a romantic relationship (often between a husband and wife), THE OTHER WOMAN shifts focus in a very fun way: the story's titular "woman" isn't a mistress or a spouse, she's a soon-to-be mother-in-law, and the dark and tense relationship at the book's core is between this woman and her son's new fiance. Jones strikes an engaging and addictive balance between the psychological suspense themes we all know (and love!) and a fresh take on the genre in her debut; I binge-read THE OTHER WOMAN about a month ago, and can vouch for what a fun "popcorn reading" experience it is. Bring this one to the beach with you this summer for an engrossing vacation read. While you wait for THE OTHER WOMAN's release in about a month, you can learn more about the book in today's bog post: an exclusive Q&A with Sandie Jones, sharing all the background information you'll need to know about one of summer's buzziest domestic suspense novels. In my Q&A with Sandie, she shares the inspiration behind her debut, the path that led her to write her first book, and of course, the dark and chilling character at the heart of it all. Many thanks to Sandie for taking the time to answer my question about THE OTHER WOMAN, and to Minotaur Books for facilitating this Q&A! Read on for more information on THE OTHER WOMAN and my Q&A with Sandie Jones. THE OTHER WOMAN will have you questioning her on every page, in Sandie Jones' chilling psychological thriller about a man, his new girlfriend, and the mother who will not let him go. Crime by the Book: First things first - thank you so much for stopping by Crime by the Book to introduce us to your forthcoming release THE OTHER WOMAN! Can you share with us a quick overview of the book in your own words? Sandie Jones: The Other Woman is a psychological thriller about Adam and Emily, a young couple whose happiness is threatened by someone so much more dangerous than a mistress or bitter ex-wife. There is nothing a mother wouldn’t do for her son, and this is the story of just how far Pammie will go to get what she wants? CBTB: What first inspired you to write THE OTHER WOMAN? Can you identify one moment when the idea popped into your head, or did it develop over time? SJ: The idea came about as a result of talking to friends and acquaintances who all seemed to have a mother-in-law story to tell! But I was imagining a more humorous take on it, perhaps a comedy or light-hearted chick lit novel. But the more I wrote about Pammie, the more sinister she became and once I started, I couldn’t stop! CBTB: At the center of THE OTHER WOMAN is a less-than-likeable woman named Pammie. How would you describe Pammie to readers who haven’t had the chance to meet her yet? SJ: Ooh, where to start?!? Pammie is all your worst nightmares comes true. On the face of it, she is the typical matriarch of the family, seemingly holding everything together with good humour and grace. But behind-the-scenes, she is anything but, and it’s Emily who bears the brunt of her wicked ways and viciousness. There is NOTHING she wouldn’t do to get Emily out of her son’s life. CBTB: Readers will love that THE OTHER WOMAN puts a unique spin on the domestic thriller; the “woman” of the story’s title isn’t a mistress, but a soon-to-be mother-in-law! Why did you want to focus your suspense novel on this particular kind of relationship? What made this relationship compelling to you? SJ: I loved the idea of focusing the story on a mother-in-law because it is such a unique relationship, as it is one of the very few adult relationships we don’t get to choose. We fall in love and HAVE to accept his/her parents as part of the package, and so it is no surprise that those relationships are so often strained and difficult. There is also an element of control that the mother or father might have over your other half which will always cause stress as you compete for their attention. CBTB: THE OTHER WOMAN has some fantastic twists and turns in store for readers - particularly in its ending! How did you go about plotting your story? Did you know the outcome from the beginning of your writing process? SJ: I had absolutely no idea where it was going when I started! I didn’t plot it out or know the ending, I just started at the beginning and worked my way through it. Sometimes I’d read a passage back and wonder where on earth it had come from and how I’d got there. Once I let my imagination go, I was honestly astonished at where it took me! The ending was something that developed over time, it certainly changed two or three times, but once it hit me, I couldn’t write it quick enough! CBTB: Speaking of writing process - what does a typical writing session look like for you? Did you have a strict writing routine while working on THE OTHER WOMAN? SJ: I wrote The Other Woman for nobody else but me, to prove to myself that I could do it. I didn’t tell a soul what I was doing, as I didn’t want to be under any pressure, so I just squeezed the writing in whenever I could; in waiting rooms, on a bus, waiting for my children to come out of school! That is the joy of writing – you can do it anywhere. Once I’d finished it and was offered a publishing deal, it got a bit more serious and I had to have concentrated periods of time, locked away, to work on the edits. 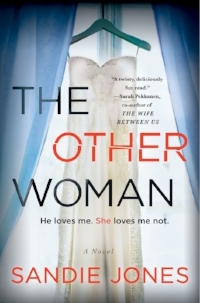 CBTB: Readers will be excited to learn that THE OTHER WOMAN is your debut novel! Congratulations! Has novel writing been a long-time goal for you? SJ: I’ve been a journalist for over twenty years and I’d often be asked when I was going to write a book. But reporting and writing fiction are two very different beasts and just because you’re good at one doesn’t necessarily mean you’ll be any good at the other. I held it off for a long time, assuming it would be a dismal failure, or worse, I wouldn’t enjoy it, but as soon as I started I wondered what on earth had taken me so long! I love the freedom that fiction gives you and wouldn’t be able to stop now if I tried! CBTB: When you’re not writing crime fiction, are you a reader of the genre as well? If so, could you share a few suspense novels that you’ve recently read and loved? SJ: Oddly, even though I didn’t intend to write crime/thrillers, it is my preferred genre to read, so maybe I was subliminally drawn to write that way?!? I loved BA Paris’s Behind Closed Doors, which was the book that inspired me to have a go at writing fiction, and Clare Mackintosh’s I Let You Go is one of my all-time favourites. I also love anything that Harlan Coben writes; Six Years stands out for me. CBTB: Now that THE OTHER WOMAN is slated for release this summer, what are you working on next? SJ: I’m writing another domestic noir thriller, based on the lies and secrets hidden within a seemingly normal family. I love exploring the dynamics of sisters, brothers, partners – every family is made up of such a hotch-potch of characters and personalities. We may all look normal from the outside but scratch the surface and we’re all dysfunctional and we all have secrets!! Many thanks to Sandie Jones for taking the time to answer my questions about her debut novel, THE OTHER WOMAN! Stay tuned for a full review of Sandie’s debut novel later this summer.